Surgical lamps are categorised according to the lamp type and mounting configuration. 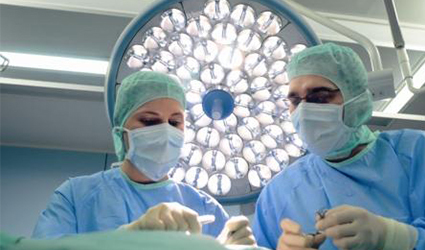 According to the lamp type, the surgical lamps are grouped into conventional or LED types. Similarly, according to the mounting type, they are classified as on-floor stand, ceiling mounted or wall mounted. 1. The brightness of the surgical lamps should be limited to 160,000 Lux. 2. The dimensions can range between 400-700mm and it can weight 45kg approximately, which could vary depending on the number of light heads attached. 3. The life expectancy can last between 40,000 to 60,000 hours of use. 4. There should be extra attachments to fix radiation shields, single or dual monitors and cameras. 5. Additional accessory include sterile light handle covers, which can be used to control the power and location of the light from its handle. On drugdu.com you can find various models of surgical lamps which can be mounted in all these types of above-mentioned configurations and accessories.